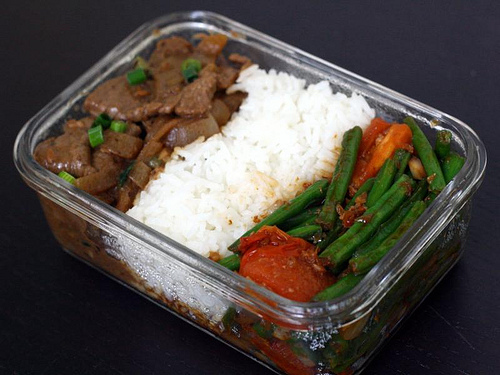 We call it "baon" in our own dialect. Bento lunches are very common in asian countries specially in Japan, Korea and China. 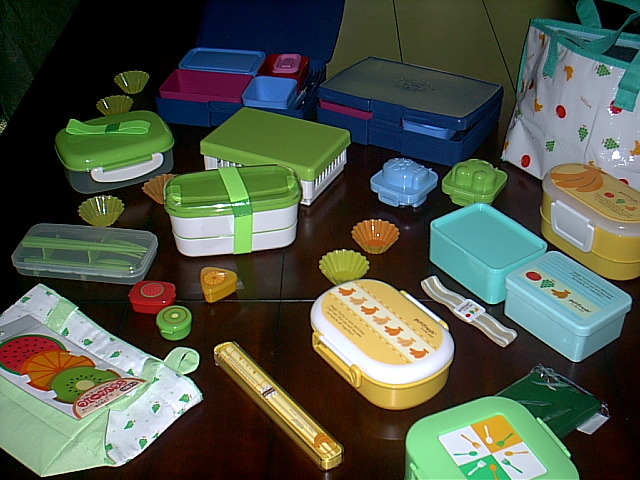 Bento means "meal serve in a box". I grew up in bento lunches. 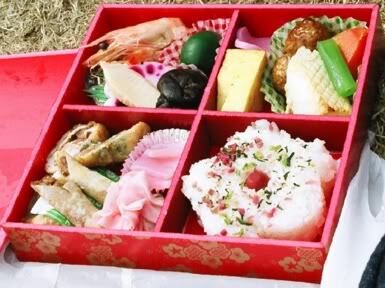 My mother usually prepare bento for our lunches at school. This includes rice, eggs, marinated sweet pork or dried fish or sometimes rice with longganisa (sausage like but taste like sweet pork) or some veggies and fruits like mango, pineapples or cantaloupes. 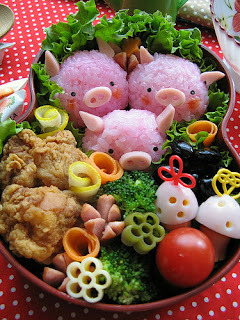 Although some prepare their bento artistically, ours is just simple, usually placed in divided lunch boxes. 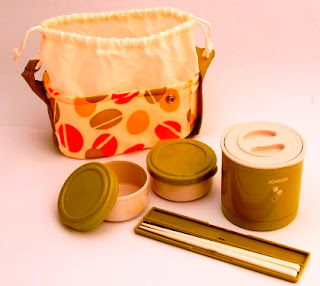 Some preferred their bentos hot and warm for lunch so they have this kind of special layered container and wrap with fabric to keep it heated. When my kids started school and up to this day, I usually prepared bentos for their lunches, not everyday but at least 2 to 3 times a week and when I don't, they kind of miss it they said :) I have many cute bento lunch boxes that I left in Hong Kong, I should had brought all of it here lol. I can't find anything like that in any store here. 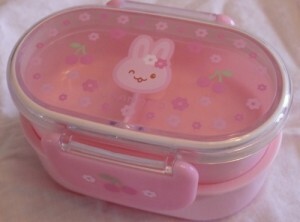 But when we were in California I found bento lunch boxes in one of Asian store there that I wanted. 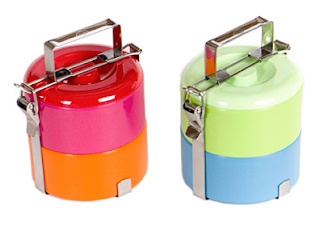 It has four detachable dividers and comes with chopsticks and small container for sauces. Since that my kids are sometimes getting tired of rice, I make a variety of healthy food they like to eat, like chicken wrap slices and fruits and added small amount of meat. 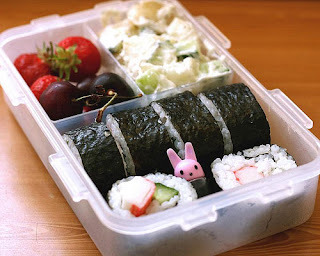 If I have time, I make sushi and spring rolls and added it to their bentos. I seldom buy process foods for their lunches (make me feel guilty, although it's ok once in a while) or sometimes sandwiches, but I prefer freshly cooked meal. this is just like the one I have when we were in Hong Kong but yellow and beige bag. I usually bring it with me as we were always on the road and boat. It comes very handy specially when Josel got hungry. He's a year old at that time. Oh my, that does sound very good, and it is definitely healthier than what most North American packed lunches consist of. When I worked in the school in NW, I was surprised at how much processed food the kids brought in their lunches. Many parents just went through the cupboard and pulled out stuff to throw in the lunches. Very little was homemade. Very sad. 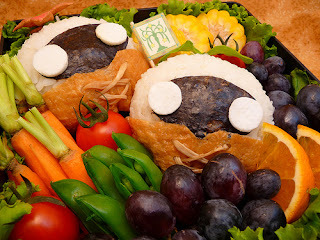 Not only do your bentos sound good, they look wonderful, so attractively arranged! he always does eat his food before lunch :) that's why he's hungry when he got home from school. They got used to have bento at school. 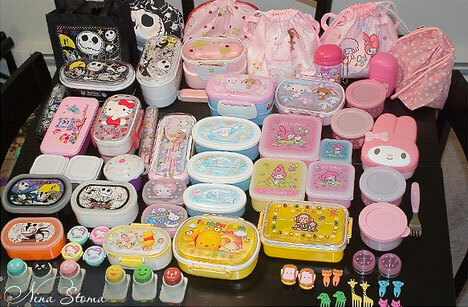 They said most of asian students always have bento at lunch lol.